Strong Women Strong World is confronting injustice and broken systems so women and girls living in poverty can achieve their potential. View past editions of this newsletter here. Tomorrow, February 6th is a day that demands our attention and action. It's a day where the international community acknowledges and proclaims zero tolerance for female genital mutilation (FGM) - the harmful, discriminating, and violent practice affecting more than 200 million women and girls worldwide. 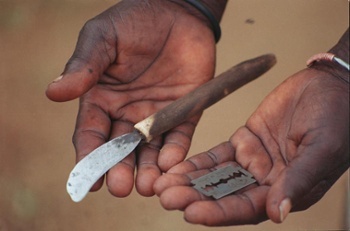 FGM is most commonly practiced on girls between birth and age 15. FGM leads to long lasting health issues such as chronic urinary tract infections, birth complications and psychological trauma. FGM and early child marriage go hand in hand often resulting in girls having children much too soon and never having the opportunity to complete their education. Societies do not improve, economic status does not increase, extreme poverty does not end until all people have the rights, access, opportunity and voice to realize their full potential. Through training and advocacy World Vision and other organizations are educating girls and boys, women and men to end FGM in their communities. 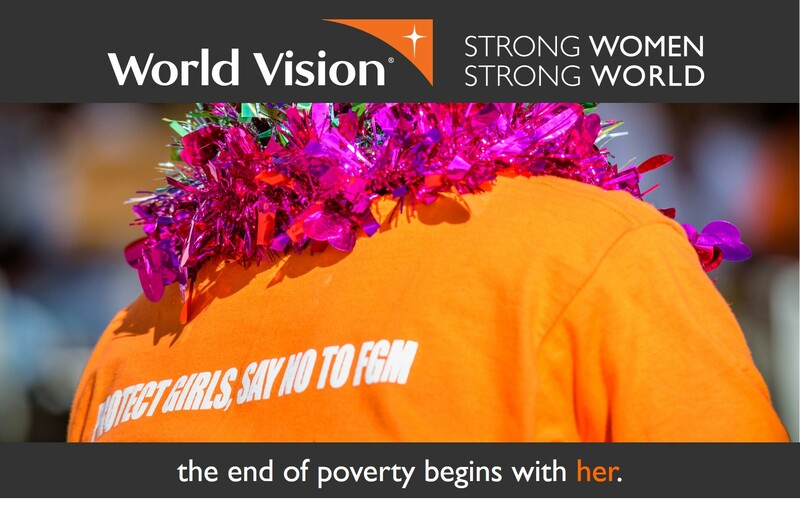 Join Strong Women Strong World and World Vision in our commitment to #EndFGM. When given the chance, SHE CAN realize her full potential. And when this happens, families, communities and countries win. Girls’ rights are violated and their potential crushed when they are subjected to FGM/C and have their external genitalia cut. Best esti mates are that 200 million women and girls alive today have suffered FGM/C. There is no medical reason for this traditional practice, and no benefit for the girl. Girls who have been cut often experience life-long dire effects, such as pain, infections, bleeding, difficult childbirth, and incontinence. Most often, FGM/C occurs in Africa and is part of a girls’ preparation for marriage. Ignoring her right to have a say about her own future and potential to be educated, her parents, future in-laws, and community often force her into marriage. 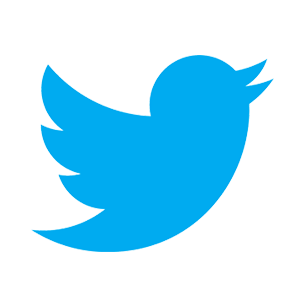 Tweet or forward this email to share! communities worldwide to reach their full potential by tackling the causes of poverty and injustice. families, and communities in need. Learn More. You received this email because you are subscribed to updates from World Vision.